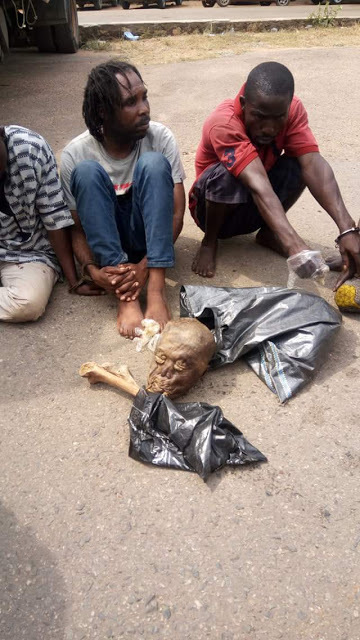 The Oyo State Police Command has arrested four ritualist suspects with a human head and hands. Two of the suspects, Olapade Saheed, 32, and Olatunji Abiodun, 26, were said to have been arrested with the exhibits at Ayegun Area of the capital city by vigilante men. 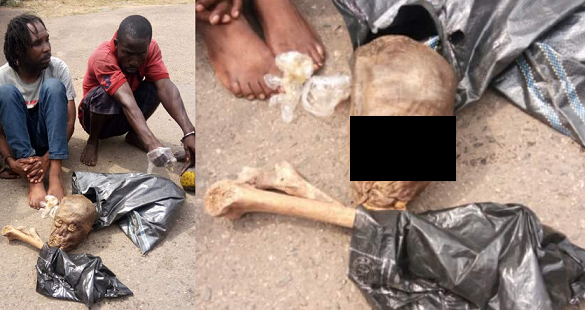 The human parts were severed from a corpse buried barely four days earlier in the area. A muslim cleric, Hammed Sulaiman, 35, who participated in the Fidaus prayer for the deceased whose body parts were severed was also paraded alongside the Presiding pastor of Light of God C & S Church, Ojagbo, Oranyan, Ibadan. Sulaiman, who said he had requested for some human parts which he needed to make money rituals had taken the duo of Saheed and Abiodun to the grave side of the deceased. The pastor partner took custody of the severed human parts before the bubble burst. Narrating what led to the arrest, Sulaiman said he only needed a handful of human parts to mix with some concortion to make financial breakthrough and he had requested the friend to help him get the human parts. 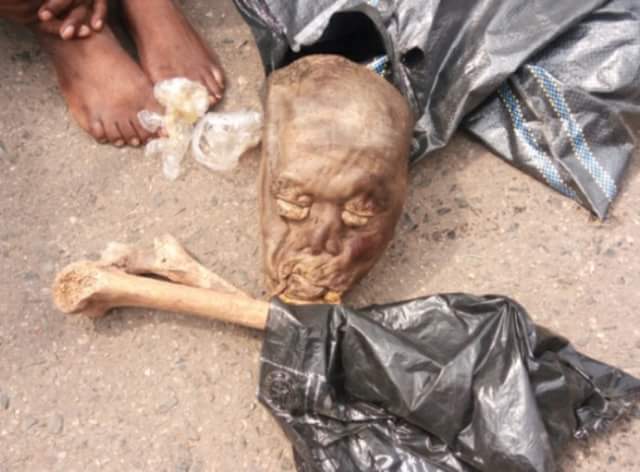 He said he paid N2, 500 to the people who severed the human body, claiming however that he has no knowledge of what the group was going to do with the human head.